As the main advocacy group for Quebec’s English-speaking community, the Quebec Community Groups Network met with Premier François Legault on Friday, February 15. It is a compliment to our Network that he sat down to speak with us so early in his mandate. This indicates to me that, in the Premier’s mind, our community has standing with the Government of Quebec. The purpose of our meeting was to engage Premier Legault and his government in an ongoing discussion of issues that are important to our community. As you can see in our press release, the QCGN reaffirmed our community is an integral part of Quebec’s past, present and future and that we form a fundamental element of the province’s culture, history and heritage. We told the Premier that, as full citizens of Quebec, English-speaking Quebecers must have an equal opportunity to participate entirely in, and contribute to, the social, cultural, economic, and political life of this province. As such, our community and our language must be treated with dignity and respect. These are among the principles that framed our discussion with the Premier. We summed those up in a Declaration that we shared with Premier Legault. While meetings like this one are very encouraging, we are concerned that the Coalition Avenir Québec government has taken a number of positions and made a number of statements that have worried and even shocked our community. Among our chief concerns are the order to remove English from signs at the Lachute Hospital; Education Minister Jean-François Roberge’s decision to transfer Riverdale High School to a French-language board; and the CAQ’s plan to ban the wearing of religious symbols for some public servants, including teachers. For us, bilingual signs in hospitals constitute an important part of access to services which must be available in both languages. We maintain that our community has a right to control and manage our schools and handing one of our institutions over to a Francophone school board with neither our consent nor due process clearly contravenes that principle. Members of our community are also deeply troubled over the proposed ban on religious symbols. With deep diversity – 31 per cent of Quebec immigrants use English as their first official language spoken – our community includes a number of Quebecers who wear kippahs, turbans and veils. Accompanied by QCGN Vice-President Gerald Cutting, President of Townshippers’ Association and the chair of our Priority Setting Steering Committee (PSSC); Board Member Eric Maldoff, chair of our Health and Social Services Committee; Tiffany Callender, who also sits on the PSSC, and our Director General Sylvia Martin-Laforge, our representatives articulated current and ongoing issues our community faces. We reiterated that our community has the constitutional right to control and manage our schools through democratically elected school boards and we demanded that the government consult with our community prior to transferring or otherwise altering the character of our English-language institutions. We objected to the extreme application of Bill 101 with respect to access and safety issues. We spoke about the employment and economic security issues facing our community and the dearth of English-speaking Quebecers in the provincial civil service. We also asked our provincial government to work with our community to ensure English-speaking Quebecers get full access to federal resources that are part of federal/provincial agreements. Premier Legault acknowledged that he has a lot to learn about our community. The Premier and our representatives committed to ongoing communications to discuss legislation, policies and programs that impact our community. The Premier committed to meeting us again in six months’ time and he undertook to open the doors for meetings with other ministers, starting with Education, Justice and Health. If you have any questions about the meeting, do not hesitate to contact me at president@qcgn.ca. 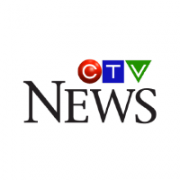 See next day coverage in The Gazette, Global Montreal, CTV Montreal as well as follow-up coverage by Agence QMI (Quebecor and Sun Media papers). You can also view coverage on CBC Montreal halfway through the evening newscast and also listen to my interview with CTV Montreal’s Paul Karwatsky and with Joanne Vrakas on Breakfast Television. The Quebec Community Groups Network ended 2018 with tragic news that Past President James Shea passed away. 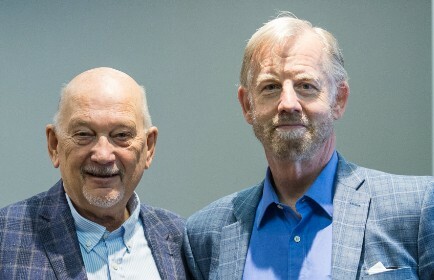 The immediate past president of both the QCGN and the Regional Association of West Quebecers , Jim was a fervent advocate for Quebec’s English-speaking community. 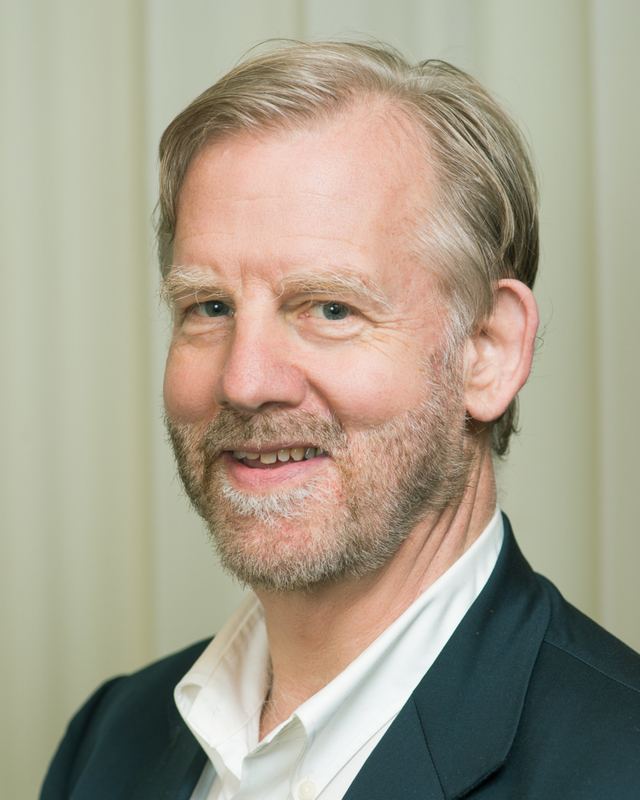 A former teacher, school principal, and school board administrator, Jim also served as chair of the Western Quebec School Board (WQSB) and vice-president of the Quebec English School Boards Association (QESBA). He was an ardent proponent of bilingualism. In his quiet, steady, determined yet self-effacing way, Jim made a difference for our community and advanced the cause of linguistic duality in Quebec and Canada. A past director of Canadian Parents for French , Jim was committed to strengthening and promoting Canada’s two official languages and human rights. 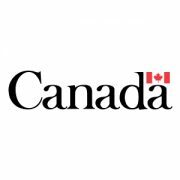 He had recently been appointed to the Official Language Rights Expert Panel of the revamped Court Challenges Program, which has been instrumental in helping to clarify and assert official language and equality rights guaranteed under Canada’s Constitution. A native of Aylmer, Que., Jim leaves behind his beloved wife of 55 years, Theresa, his four daughters, Ann, Karen, Cathy and Lisa, as well as their families. I attended the funeral along with a large contingent of QCGN staff and members. We extended our most sincere condolences to his wife and daughters as well as family and friends on behalf of our community, our member organizations, as well as our directors and staff, both past and present who had the honour and pleasure of serving with Jim. Also on hand for the standing room only funeral at St. Mark the Evangelist Church, in Aylmer, were QESBA President Dan Lamoureux, also a past president of the QCGN, as well as a full contingent of official language minority community representatives – both French and English – including former Commissioner of Official Languages Graham Fraser, OCOL Quebec representatives David Johnston and Charles Taker, and a large contingent from the Regional Association of West Quebecers. 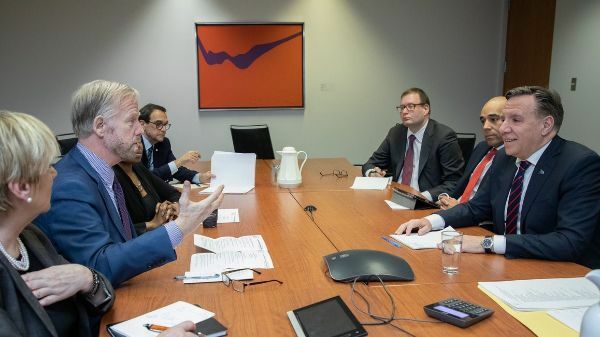 Liberal MNAs André Fortin, Gregory Kelley, and Maryse Gaudreault were also there to represent the Government of Quebec along with William Floch, from the Secretariat for Relations with English-speaking Quebecers. Read QCGN’s statement. See obituaries on Global Montreal and in The Montreal Gazette and the Ottawa Citizen where you can share your condolences with family and friends. In lieu of flowers, donations can be made to the Western Quebec School Board for the James Shea Memorial Fund, in support of disadvantaged students. Donations can be mailed to Western Quebec School Board at 15, rue Katimavik, Gatineau, QC, J9J 0E9. At the end of January, Quebec’s Education Minister Jean-François Roberge announced the forced closure of Riverdale High School in Pierrefonds and the transfer of the building to the French-language Marguerite-Bourgeoys school board. QCGN strenuously objected to the decision, which will force the dispersal of the school’s 450 English-language students across the remainder of the Lester B. Pearson School Board. (Read our press release. Also read coverage in The Montreal Gazette and press releases by the Quebec English School Board Association and the Lester B. Pearson School Board.) The government’s decision to sidestep the rules in its own Education Act clearly breaches the constitutional guarantee that our minority-language communities have the right to manage and control the educational facilities in which our children are taught. Our schools are not simply buildings with classrooms. They are institutions that form and shape our next generations. Meanwhile, the MNA for Nelligan is sponsoring a petition asking the Government of Quebec to reconsider the decision to close Riverdale High School without alternative, permanent, and voluntary solutions on both sides being found. It also asks the government to consider the situation of several hundred students whose academic path will be affected by this decision and calls upon the government to collaborate with parents and the community at large in seeking solutions for the good of both French- and English-speaking young people. We encourage you to sign and share. QCGN raised the issue in its meeting with the Premier on February 15 and the Premier pledged to facilitate a meeting with Minister Roberge that the QCGN has requested. And, as the Coalition Avenir Québec moves forward on plans to eliminate our democratically elected school boards, the community is closing ranks to firmly oppose the plan. QCGN will be working with Network members, community stakeholders as well as sister minority-language communities across Canada to develop a collective response to ensure the safeguarding of Quebec’s constitutionally protected educational institutions. We will keep you posted on future developments. 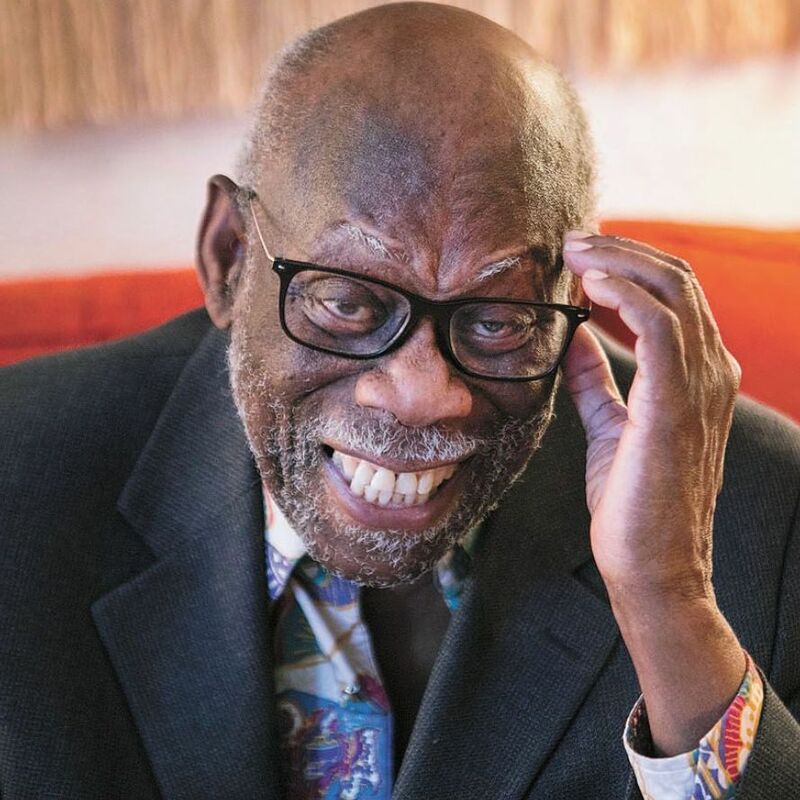 In the context of Black History Month and the 50th Anniversary of Canada’s largest ever student riot at Sir George Williams, QCGN Board Member Clarence Bayne was interviewed by Le Devoir. Fifty years ago, six Caribbean students at Sir George Williams University – now part of Concordia University – accused a biology lecturer of racism. The students complained the teacher was giving failing grades to all his Black students and they demanded the university set up a committee to investigate the charges. Then a young economics professor from Trinidad and Tobago, Bayne sat on the committee charged with investigating the complaints against biology professor Perry Anderson. The complaints led to the largest student riot in Canadian history. In January 1969, more than 200 students peacefully occupied the 9th floor of the Henry F. Hall Pavilion. A month later, the occupation degenerated into a riot when police intervened. A fire caused $2 million in damages and some 97 students and supporters were arrested. Read the report in Le Devoir. English-speaking youth in Quebec often struggle to find relevant work and career building experience. In some communities, many opt to move away in search of internships and job opportunities. English-language organizations quickly noticed this disturbing trend and they’re mobilizing to create and innovate community youth resources in order to shape and retain young talent. Retaining youth is at the heart of two projects by The Depot Community Food Centre and Coasters Association Inc. that are providing internship and work opportunities for youth in the Montreal neighborhood of Notre-Dame-de-Grace and the Lower North Shore, respectively. 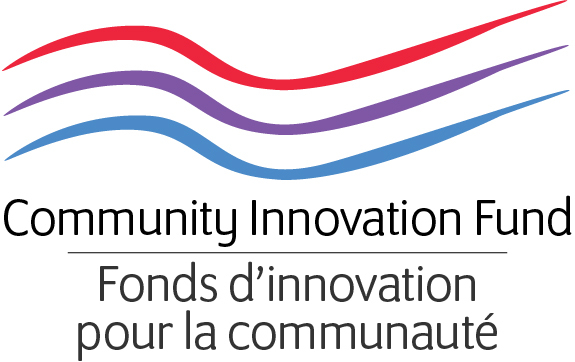 These youth initiatives are part of 10 programs selected to share in the $1 million Community Innovation Fund (CIF), which is managed by the Quebec Community Groups Network. The Depot Community Food Centre, formerly the NDG Food Depot, is a community-based non-profit organization founded in 1986 that works collaboratively with other community partners to address issues of food security in NDG and the surrounding areas. More recently, it is expanding to include more learning and work opportunities for Montreal youth thanks to a grant from the Community Innovation Fund. Over the past two years, The Depot has focused on integrating youth within the organization. And with an extended grant, the community-based non-profit organization can begin to shape its new program. 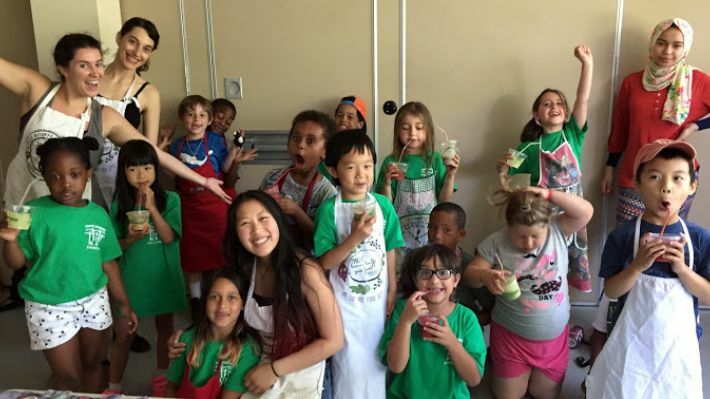 “We’ve been thinking about structuring specific volunteer opportunities that are youth friendly and teaching our staff to work with youth in empowering ways,” says Beccah Frasier, The Depot’s Youth Programs Coordinator. In the past, most job and volunteer positions were adult-oriented as they asked for more work experience. But the CIF grant has given Frasier a chance to focus much of her attention on creating jobs and volunteer positions catered to youth with little-to-no experience. Frasier says that the Centre plans to hire six students next summer. Each of them will be in a different role and paired with a coordinator, where they’ll be able to observe day-to-day operations and learn new skills. There are three positions available for younger students who are still in school, finishing their last year or recently dropped out. The positions include a facilitator for the Boîte à Lunch NDG and Good Food Markets programs as well as a role in the kitchen. “They’ll learn a lot about what the markets are selling, soft communications skills, cashiers’ skills. There are a lot of interesting and transferable skills there,” Frasier says. The student who lands the kitchen position is going to help with meal services at local community centres. They’ll spend their summer learning chef and cooking skills. The other three opportunities are meant for older, slightly more experienced youth workers. They’ll still be shadowing a mentor, but Frasier notes these positions would be more on the administrative side, such as communications or helping with daily office and reception tasks. The Depot’s youth outreach mission runs deeper than just these six positions. The goal is to build a pipeline for students to gain work experience, network and sharpen their soft skills, she explains. There are three youth employees currently working as assistant facilitators in the Boîte à Lunch program and each of them started as participants in the workshops themselves. Ultimately, The Depot wants more youth coming up through the ranks in the organization and they’re invested in helping them every step of the way. With a grant from the Community Innovation Fund (CIF), the Coasters Association Inc. is on its way to creating sustainable jobs and attractive opportunities for young workers on the Lower North Shore. The association has been involved with the advancement of youth in the region since its inception in 1989, explains Heidi Buckle, Youth Employability Program Manager at Coasters. But the number of young students and professionals on the Lower North Shore has been dwindling in recent years. Buckle says the goal for Coasters is to create, foster and encourage innovation and excellence. Thanks to supplemental funding granted by the Community Innovation Fund, Coasters has been given the flexibility to reinvigorate the organization’s youth employment programs. “We’re addressing the needs of the youth of the Lower North Shore by creating opportunities for post-secondary youth to return and work in their communities supporting the bio-development, agriculture, and aquaculture industries through the Lower North Shore Research Facility,” says Buckle. The region lacks many amenities that would be found in larger communities. Services and resources are weak in the area as well, so Buckle says it’s a matter of being creative. And the funding is already paying off, she says. The Coasters hired an intern to assist in developing activities in the first year of its youth employment project. And the Lower North Shore is noticing the work that Coasters is putting in to attract and retain a younger, educated workforce. “Through the Community Innovation Fund, we were able to mobilize a total of 11 post-secondary graduates to return to the coast,” says Buckle, noting her organization serves 14 communities along the Lower North Shore. 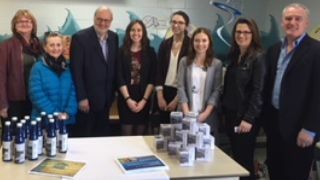 The organization partnered with two universities – the Université du Québec à Trois-Rivières (UQTR) and Memorial University in Newfoundland, for one initiative in addressing youth retention. The program provides post-secondary graduates the environment to return to the coast to complete their master’s degree in science and business remotely. Not only are they luring post-secondary students back to the region, they’re also providing resources for vulnerable youths who are provided with mentors to build their work and social skills through hands-on training. It is also a chance for them to further their education and seek employment opportunities through the Research Facility, says Buckle. Agriculture and Agri-food Canada and College Institute Canada are providing internships in partnership with the Coasters. And in collaboration with the Commission Scolaire du Littoral school board, Buckle says Coasters is developing a School Science Integration Project. The science project aims to educate high school and elementary students “on the natural resources we have and how to sustainably manage them and spread awareness.” The goal is also to encourage younger students and demonstrate partnership and networking between youth and regional representatives. Other initiatives are in the pipeline as well, including partnerships with Centre d’expérimentation et de développement en forêt boréale and Service Canada, Buckle adds. “These positions and programs are vital in spearheading knowledge and expanding the capacity of the Research Centre and promoting innovation development for the population on and off the coast,” she says. There has already been a noticeable uptick in post-secondary youth seeking employment opportunities to return to the region, according to their in-house database, Buckle said. And the CIF grant is just the beginning as they continue to develop an effective way for youth on the Lower North Shore to transition into the labour market. This is the fifth and final in a series of articles about projects that were funded under the Community Innovation Fund. For further information about the CIF please contact Christine Boyle at 514-868-9044, ext. 257. The DESTA Black Youth Network, one of the projects funded by the Community Innovation fund, has partnered with the Community Economic Development and Employability Corporation to support entrepreneurs to build and expand businesses and generate economic development in Montreal’s Black communities. From startup to scale-up, CEDEC’s accredited business advisors provide a customized approach for each of its clients and systematically follow their progress through the Growthwheel® platform. Through this partnership, CEDEC and DESTA representatives will be equally equipped to surround entrepreneurship program participants with a continuum of support and resources. “DESTA’s range of culturally relevant education, workforce development and entrepreneurship programming combined with CEDEC’s Small Business Support continuum of hands-on and timely referrals to resources and contacts will bring immense added value to our businesses that are working to scale-up and grow,” says Barkley Cineus Jr., Interim Executive Director at DESTA Black Youth Network. A member of the Quebec Community Groups Network, DESTA is a registered charity that supports Black youth aged 18-35 across Greater Montreal to reach their educational, employability and entrepreneurial goals through a holistic and individualized approach. Despite cold and icy conditions, more than 400 people took part in the Assistance Referral Centre (ARC) exposition featuring more than three dozen services and programs aimed at enhancing the vitality community programs serving the English-speaking community of the Montérégie. 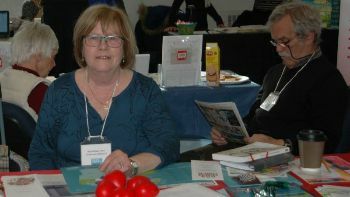 Hosted at the Access Adult Education Centre in St-Lambert, along with QGCN members South Shore Community Partners Network (SSCPN) and Montérégie West Community Network (MWCN), all three Health CISSS’s plus the two school boards (Riverside and New Frontiers) servicing the Montérégie took part in this event. Adding to the success was the participation of several arts and cultural communities and the Ville Brossard. Organizers thanked community partners and everyone who offered their support to strengthen their community. 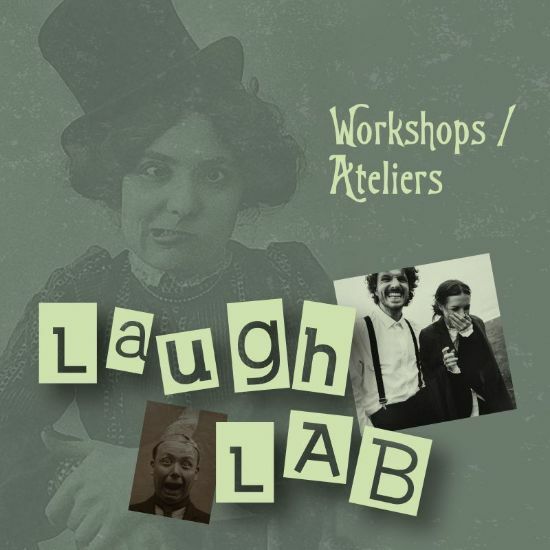 Quebec City’s English-language cultural hub, The Morrin Centre, presented Laugh Lab, a series of workshops that invited participants to explore English-language humour in Quebec. Made possible thanks to a grant by Canadian Heritage, the series featured hands-on activities for individuals wanting to learn about the mechanics used to set up comedy through improvisation, writing, cartooning, and music. Club d’Impro founder Louis-Olivier Pelletier hosted the first workshop, Laugh Lab: Improv, on Wednesday, January 23. He focused on the art of improvisation and the tools one can use to get the most laughs from an audience, using voice, movement, and body language. Known for his brilliant performances at the Quebec Improv League (LIQ), the Montreal Improv League (LIM), and the Punch Club, Pelletier has been doing improv for more than 20 years and has made it his full-time job. Participants were also invited to hold on to their pens and crayons for a workshop hosted by The Gazette’s political cartoonist Terry Mosher aka Aislin. Laugh Lab: Editorial Cartooning took place on February 13. Aislin, the name of Mosher’s elder daughter, is the penname he has used for over 50 years working as a cartoonist in Montreal, primarily for the English-language daily newspaper, The Gazette. Mosher is President emeritus of the Association of Canadian Editorial Cartoonists and has served as a judge in international cartoon competitions. In recognition of his charitable work and his contribution to political cartooning, Mosher was named an Officer of the Order of Canada in May 2003. He has also received honorary doctorates from McGill University (2007) and Concordia University (2018). In 2017, Montreal’s McCord Museum hosted a retrospective of Aislin’s 50 years of work that was later displayed at Ottawa City Hall. The series will close on March 2 with a celebration of satire in music which will include musical performances and activities hosted by the Montreal-based comedy duo, Bowser & Blue during Laugh Lab: Music. Composed of George Bowser and Rick Blue, the duo writes and performs music and comedy. They have appeared frequently at the Just for Laughs comedy festival and they can often be seen on CBC television and the Comedy Channel in shows compiled from those appearances. Their Christmas CTV special Two Nuts Roasting on an Open Fire was nominated for a Gemini award. For more information, visit morrin.org or contact the Centre’s staff at 418 694-9147. As an English-language cultural centre located in Quebec City’s historical quarter, the Morrin Centre is a leading cultural institution of national standing, providing the Anglophone and Francophone public with rich, engaging programming in the areas of heritage interpretation, education, and the arts. Building upon the Centre’s history and key institutions, programming aims to provide historical perspective on the region’s unique French-English heritage, develop enhanced educational opportunities for youth, and act as a springboard for artistic creativity. 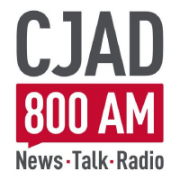 Tiffany Callender, Executive Director of Côte-des-Neiges Black Community Centre and member of QCGN`s Priority Setting Steering Committee is interviewed by CJAD’s Natasha Hall to discuss how the first meeting with Premier François Legault went and the importance of consultation with English-speaking Quebec and visible minority communities. Quebec Premier François Legault met with members of the Quebec Community Groups Network on Friday for a closed-door meeting. 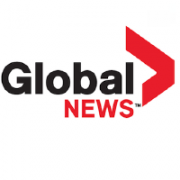 As Global’s Tim Sargeant reports, issues discussed included the future of school boards, access to English education and wearing of religious symbols.